Back to normality. If I’m nit-picking, we should have won it by five! Three points is three points at this stage but it was an opportunity to do the goal difference some good at the same time. But let’s not get greedy. Bournemouth had a go, they did get forward but Liverpool got the clean sheet. They were a good team for us to play, they’d lost the last six away from home I think. People were questioning the team after a couple of draws and it was what was needed to get back on track instill some confidence. We’ve got some big games to come so if we hadn’t won that, it would have been very hard for the players without a game for two weeks. Now they can look forward to the Bayern Munich game and the Manchester United game with less pressure going into them. 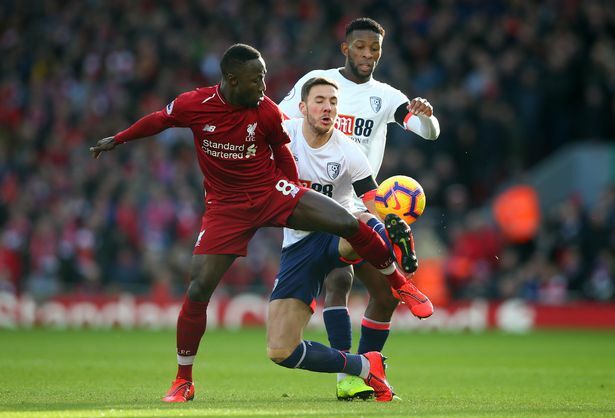 Naby Keita played really well. It was probably his best game so far this season. He’s got one problem, he needs a goal. He needs a goal tomorrow. Once he gets a goal or two, we’re going to see a different player because he has quality. People might be questioning him and think he’s not going to make it but I think there is a player there. There is something not quite right with him and if the manager can get him over the line, there’s a player in there. We need midfield players to get in the box and get goals. We need Keita, if he’s going to be a serious player at Liverpool, to get at least 10 goals a season. That should be his aim. The midfielders have got to keep doing it, keep getting forward and getting in the box, getting on the end of things and scoring goals. 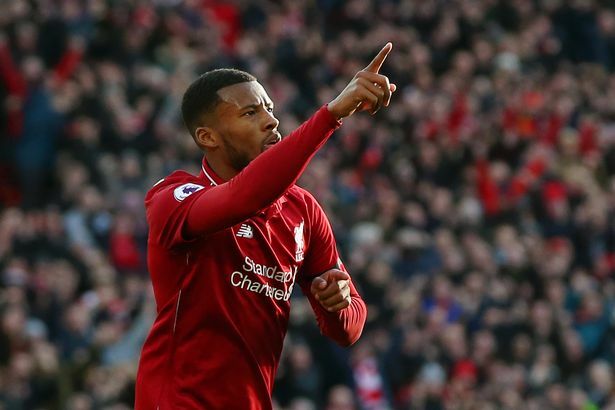 Wijnaldum put in his best game of the season on Saturday and the timing of his runs going forward was brilliant. I’ve never seen him put in so many runs going forward and that’s what you need from midfield and what has been lacking from midfield. You need goals from midfield and Wijnaldum delivered. It was a great run and a superb goal but he kept doing it all game and they couldn’t track him. I hope he’s ill every week if he comes back and plays like that! He was superb and it’s what you want as a manager. Players can feel sorry for themselves but get on with it. If you can play, you play. If it doesn’t work, it doesn’t work. You know when you can play and when you can’t play and he knew he could and wouldn’t let anyone down. Other players wouldn’t have played, they’re getting paid anyway. But he didn’t do that. He’s a lovely fella and I was delighted for him. The only downer is the City result but fair play to them. City were very good. Chelsea were very bad. But you’ve still got to beat what’s in front of you. They showed their teeth, fair play to them. Goal difference is like an extra point on us for them so we’ve just got to keep going. We’ve got to hope that Sarri is still the manager when we play Chelsea because something has been lost there. No team should lose 6-0, something is not right there. There’s still a long way to go. As a manager you look to at least emulate them. When they win, we’ll do the same and be there to take advantage of any slip-ups. We can do it.